Posted by M Bharath Bhushan in 1969, BCs, Godavari, Khammam, Koya, Mulki, Polavaram, regionalism, SC, ST, TDP, Telangana, TRS. Describing Khammam district as the nerve centre of freedom struggle and spirited mass movements against oppression, Telugu Desam Party president N. Chandrababu Naidu vowed to employ social engineering to usher in “social Telangana” for keeping the “feudal elements” at bay in Telangana region. Mr. Naidu addressed a well attended public meeting titled Praja Garjana, the first in the series of election meetings planned by the party in Telangana, here on Saturday night. Posted by M Bharath Bhushan in Adilabad, agitation, BCs, BJP, Congress, elections, Identity, JAC, KCR, Mahabubnagar, Mulki, Muslim, NRIs, Palamur, politics, Reddy, regionalism, SC, Settler, ST, TDP, Telangana, TRS, Y S Jagan, YSR. The writing on the wall has become clearer for the ruling Congress and principal opposition Telugu Desam Party in Andhra Pradesh: they are facing a serious survival threat and the demand for a separate Telangana state cannot be wished away. Results of the by-elections to seven Assembly seats saw Congress and TDP, which refused to acknowledge the Telangana factor, drawing a blank on Wednesday and clearly establishing that fortunes of these two major parties are on the wane, a warning signal ahead of another round of by-polls to 18 Assembly constituencies in the next few months. Also, the resounding success of the Telangana Rashtra Samiti at the cost of the Congress and the TDP reaffirms the importance of the Telangana movement. Last but not the least, victory of YSR Congress candidate N Prasanna Kumar Reddy in Kovur in Coastal Andhra region could be an indicator of things to come. The YSRC is emerging a force to reckon with in the state politics, an ominous sign for both the Congress and the TDP. That the “Telangana sentiment” won in the six segments in the region need not be re-emphasised. The TRS (four), the BJP (one) and even the lone Independent candidate won on the Telangana plank. Posted by M Bharath Bhushan in BCs, BJP, Congress, elections, Hindu, Identity, JAC, KCR, Mahabubnagar, MIM, Muslim, politics, regionalism, TDP, Telangana, TRS. Sangh Parivar is trying its best to get Mahaboobnagar Assembly seat. Posted by M Bharath Bhushan in BCs, BJP, Congress, elections, JAC, KCR, livelihoods, Mahabubnagar, MIM, Mulki, Muslim, politics, Reddy, regionalism, TDP, Telangana. The presence of 42,000 Muslim voters and the role that the Telangana Joint Action Committee (TJAC) will play will be the crucial factors in deciding the fate of candidates in the by-elections to Mahabubnagar Assembly constituency. The elections will see a four-cornered contest between S. Prakash (Congress), P. Chandrasekhar (TDP), Syed Ibrahim (TRS) and Y. Srinivas Reddy (BJP) although there are nine other candidates in the fray. The results may throw up a tight finish as all the four main parties have pulled out all stops to woo the 1.86 lakh voters in this predominantly urban constituency, which has the highest literacy rate in the district. This is the second by-election in Mahabubnagar constituency, after 1980 when Congress (I) MLA K. Ram Reddy passed away. In the 2009 elections, N. Rajeswar Reddy, who contested as an Independent, defeated his nearest TRS rival Syed Ibrahim by a margin of 5,137 votes. He was in the Praja Rajyam and was hopeful of securing ticket, but contested as an Independent on being denied the nomination. Posted by Telangana Utsav in agitation, BCs, Culture, elections, Godavari, Harish, heritage, Hyderabad, Identity, JAC, livelihoods, movement, Mulki, Muslim, Polavaram, politics, SC, ST, students, Telangana, TRS, universities. Hyderabad, Oct. 15: As the Sri Krishna panel gets ready to submit its report on Telangana in a month, multiple groups are emerging to take up the cause for across the region and abroad. According to one conservative estimate, there are over 4,000 joint action committees and groups including some in countries such as the United States. Prof. Kodanda Ram, convener of the Telangana Joint Action Committee, Mr T. Harish Rao, TRS MLA, and other Telangana leaders are in US to seek the support of Telanganaites there. Posted by Telangana Utsav in agitation, BCs, Congress, elections, heritage, Hyderabad, Identity, JAC, movement, Mulki, Poetry & Songs, politics, regionalism, SC, Sonia, ST, students, Telangana, youth. The Telangana Rashtra Samithi (TRS) has decisively won 11 out of the 12 seats in the recent by-elections in Telangana. 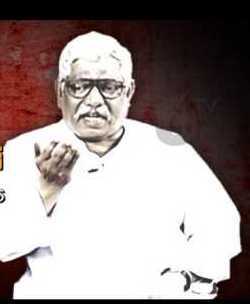 The president of the Pradesh Congress Committee, D. Srinivas, was defeated by the BJP candidate in Nizamabad (Urban). TRS leader Harish Rao won his seat with a resounding majority, even surpassing the record of former chief minister Y.S.R. Reddy. Many non-TRS contestants have lost their deposits. In short, it has been made abundantly clear that the people of Telangana want Telangana state. This seems like an obvious point, and it must be remembered that the TRS has won previous elections like this and also lost badly, subsequently. 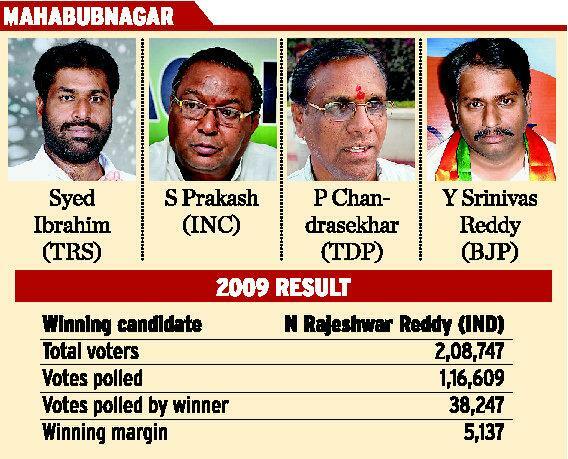 But these by-elections are significant both for Telangana and for the Indian polity. While earlier, the TRS has won elections and squandered its political goodwill in no time, this time the movement is qualitatively different. For one, there is a Srikrishna Committee watching the developments; secondly, the movement has moved beyond electoral politics and become a social movement with its own inexorable logic. This time, people voted for Telangana and defeated the Congress, the Telugu Desam Party and others that also championed the same cause. And this is not because of “sentiment”, as glibly assumed — the reasons lie elsewhere. Posted by Telangana Utsav in agitation, BCs, BJP, compromise, Congress, elections, Muslim, Nizamabad, NRIs, politics, regionalism, SC, Settler, Sircilla, ST, students, Telangana, Vemulawada, youth. HYDERABAD: The option of deploying electronic voting machines (EVMs) in the ensuing Assembly byelections in the Telangana region became available to the Election Commission following the rejection of as many as 213 nomination papers of independents during scrutiny on Saturday. As a result, the number of nominations in six out of the 12 constituencies fell below 64, the maximum number that can be handled by the EVMs. The scrutiny was conducted by central observers deputed by the Election Commission after the Telangana Rashtra Samiti (TRS) asked hundreds of its partymen to file nominations as a ploy to pre-empt the use of EVMs, which, it feels, can be tampered with. This had swelled the number of candidates to 926.